Training and recovery management make memorable performances possible. 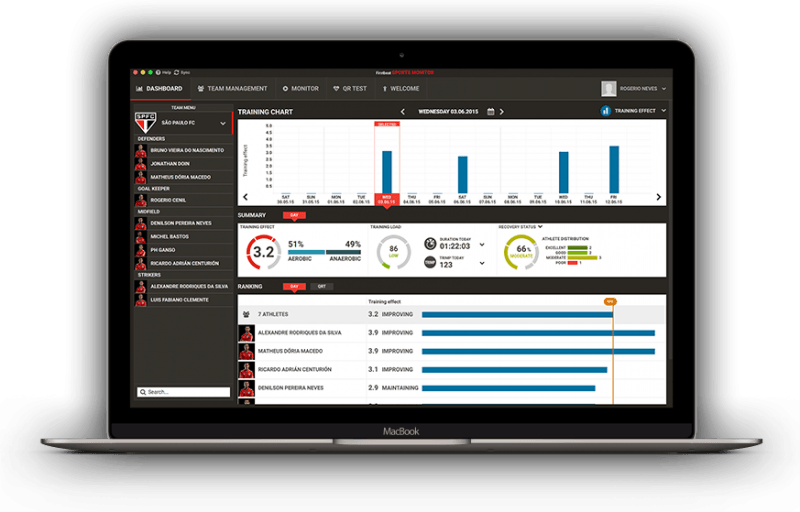 Firstbeat gives you access to both aspects with a single platform making it the best choice for maximizing performance with objective data. Firstbeat’s Quick Recovery Test (QRT) is a fast and powerful recovery management tool. It is now even faster and easier to perform than ever before. A few quiet moments before training is all you need to gain insight into player recovery with clear, manageable information points. QRT results pave the road to more informed training decisions and better coaching. Recovery assessment made easy with Firstbeat Sports! 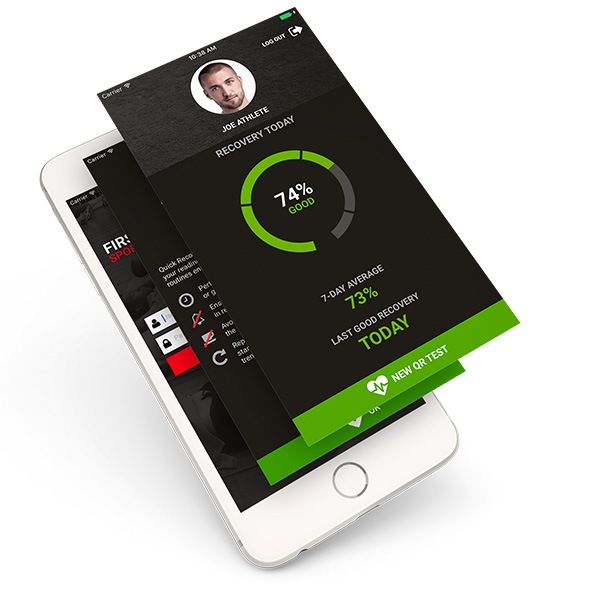 Firstbeat Quick Recovery Test App provides new options for your team’s players and coaching staff. Flexible Starts – Begin new player measurements as soon as you are ready even if other players have already started the test. Instant Results – QRT scores are revealed on screen immediately after completing the measurement. Improved Individualization – QRT scores are now adaptively scaled based on the athlete’s personal measurement history. QRT scores are classified into four categories that describe recovery quality. In addition to making results easy to communicate, these categories are used to indicate fatigue accumulation over time. The number of days between “good recovery” scores are tracked and reported with color coded warning signals. The Firstbeat QRT score is an advanced metric derived from analysis of heart rate and heart rate variability which allows indirect assessment of the parasympathetic nervous system through vagal activity. Variation in individual physiology and dynamic recovery patterns are accounted for by adaptively scaling QRT scores based on average and standard deviation of each athlete’s personal measurement history. Read more about features and packages.